See scan - good condition. 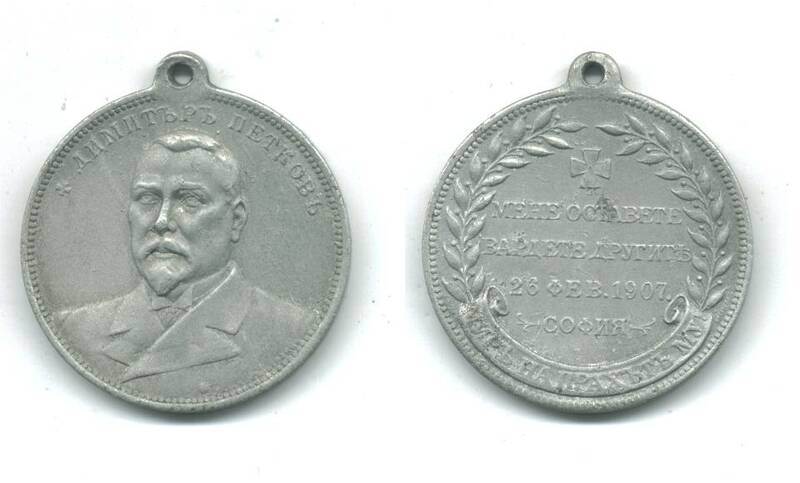 This is an extremely rare Bulgarian Royal 1907 medal made out of Aluminum, issued for the occassion of the brutal death of the Bulgarian Prime Minister Dimitar Petkov - killed by Anarchists. Extremely rare piece and a true collector one.